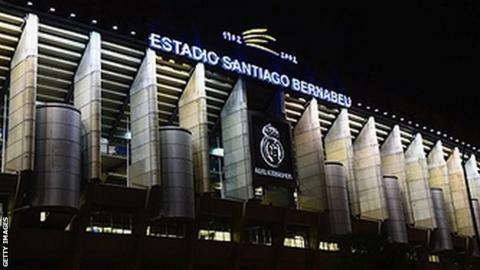 Real Madrid's Santiago Bernabeu stadium could be renamed as part of a major sponsorship agreement worth 500m euros. The deal with the United Arab Emirates-based International Petroleum Investment Company was done last year. It includes naming rights for the Bernabeu, Real's home since 1947 and venue for the 1982 World Cup Final. The name the parties have settled on is thought to be The Abu Dhabi Santiago Bernabeu, although another possibility is The Cepsa Santiago Bernabeu. The decision will be approved by Real Madrid president Florentino Perez, who has insisted that the stadium's heritage is honoured by retaining the words 'Santiago Bernabeu' in the full title. The new deal will help renovate the stadium and increase capacity to 90,000. Bernabeu is a former player, manager and president of the club, who oversaw the initial construction of the stadium. Perez secured the sponsorship in order to raise funds for the long-planned renovation of the stadium, which is expected to be completed in 2017. The work will increase capacity to around 90,000 from its current 81,000, incorporating a retractable roof along with a number of contemporary design features. "I am killing myself to create the best stadium in the world," said Perez in September. "If you want to do it without debt, the only possibility is that we take a sponsor's name which could give us the 400m or 500m euros the new stadium is worth." Unlike British clubs, including a sponsor in a stadium name is rare in Spain. Currently the only top-flight club to have done so is Espanyol. Many Real Madrid fans oppose the idea, but there is also an acceptance that it is a necessary move to pay for the reconstruction of the stadium. Real Madrid already have a strong presence in the UAE, with Dubai government-owned airline Emirates serving as shirt sponsor since 2013. The club also have tentative plans to open a Disneyland-style theme park in the UAE and even removed the Christian cross from their official logo in Arabic marketing campaigns to avoid offending local sensibilities.